The market has a new-found volatility and that means the trusted long-only strategies may start to fail more often. 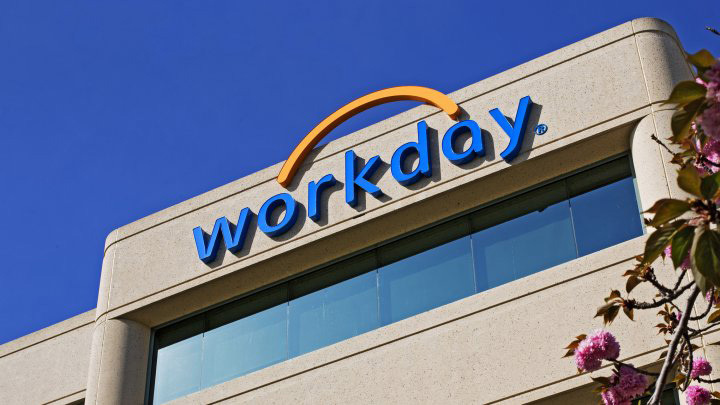 But, for the investor that is interested in turning a profit with some homework, this new found volatility does mark an opportunity for several stocks with options, and in this case study we look at Workday Inc (NYSE:WDAY) in depth, and then Google and Amazon to reinforce the learning. This is an evergreen approach that can be used, when appropriate -- don't get too distracted by a case study. Simply buying near-the-money options and selling further out-of-the-money options is a trade that looks for market volatility. It has a fancy name, "Iron Condor." The elite funds hope that just the name will scare you off. Yep -- a 50% loss over three-years while the stock was soaring. But there is a much smarter way to approach this and it's easiest seen with a stock chart. What we're looking at below is a 2-year stock chart for Workday Inc, with the earnings dates highlighted by the blue "E" icon, and circled. What we can see, totally irrespective of the earnings move, is that the month before earnings, the stock tends to trade with volatility. We can see that with the yellow arrows drawn in the month before each earnings announcement. Take the time to study that chart for a little while -- it's simple and reinforces the idea behind this hedge: stock gymnastics the month before earnings. Now, we don't care if the stock goes up or down, what we care about is that the stock does something. Watch what happens to our iron condor option strategy when we only trade the month before earnings. That 50% losing trade, when we isolate it to just the month before earnings, now returned 92.8%. Yes, that is a total and utter reversal of the original approach and for the record, the stock itself is only up 29% in those three-years. The first attempt we checked is what everyone else is doing. The second approach is what the top 0.1% are doing. We have more to discuss with this approach, but to motivate this beyond just Workday, here are the 3-year results for Alphabet Inc (GOOGL) and Amazon.com Inc (AMZN). That's a 82.4% return, with 5 wining trades and 3 losing trades. Now we see a 42% return in just two-months of trading, with the last two pre-earnings trades both winning. You have now seen the realities of option trading. The wealthiest and most successful funds and algos get ahead by using intelligence like this. If you have the desire to do it as well, then you too can find the patterns that drive profits and make option trading less about luck, and more about knowledge.